SEATTLE – It’s been awhile since I talked to Kelsey Plum, the former Washington Husky who’s as entertaining an interview as she is a basketball player. Her candor is almost as impressive as her talent, which always made postgame exchanges fun. But if I did have a chance to talk to the all-time NCAA women’s scoring leader, these are the first questions I’d ask: Are you sure you’re being treated unfairly? And if so, what would you be willing to do to change that? If you haven’t heard, Plum griped recently that WNBA players get only around 20 percent of the league’s revenue, whereas their NBA counterparts get 50. Thinking the league might have more money than it lets on, Kelsey also wants WNBA owners to open their books. This comes on the heels of her Las Vegas Aces teammate, A’ja Wilson, complaining about the WNBA and NBA wage gap after LeBron James signed a $154 million contract with the Lakers. “If the WNBA is always losing money, and if the WNBA is in the red, why do we keep it around?” Plum asked on 710 ESPN Seattle’s Brock and Salk. One more question for Plum: Do you really want to ask something like that? Let’s back up for a second. In my three years in Seattle, there is no local athlete I’ve enjoyed watching more than Plum. The Final Four run her Huskies made was the most pleasant sports surprise this town has seen all decade, and the crowd sizes they spawned the next year broke records. I also think female athletes have been cheated in the past when it comes to pay, particularly in tennis. During part of the Steffi Graf, Martina Navratilova and Chris Evert era, the women’s game was more popular than the men’s, and yet the women still earned less. But the WNBA isn’t the WTA Tour. And it certainly isn’t the NBA. Want to compare league revenues? The NBA generated $7.4 billion in 2016-17, according to Forbes, which is likely more than 100 times that of the WNBA. 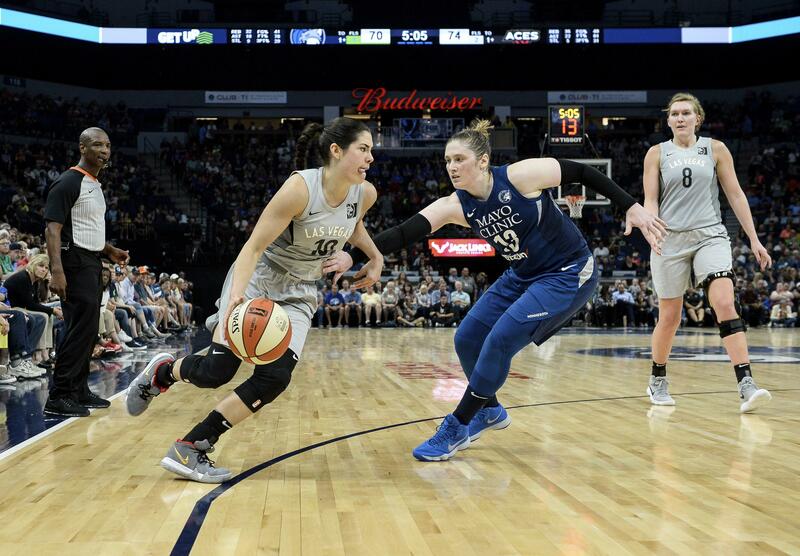 We know ESPN is paying the WNBA $25 million to broadcast some of its games. A recent Forbes article estimated that, based on average attendances and minimum ticket prices, the 12-team league is bringing in at least $27 million annually at the gate. There are also sponsors on jerseys, a WNBA league pass and a reported deal with Twitter. But does that mean the league is profitable? Plum thinks that, based on the size of the crowds, it must be. But according to a New York Times story from two years ago, half of the league’s teams were losing money. There are overhead costs to consider, right? There is rent for the building, hotel bills and, of course, flights – which aren’t always pleasant. The 22-year-old WNBA doesn’t allow teams to charter flights because not all of them can afford to do so. According to The Indianapolis Star last year, two chartered flights would cost as much as an entire season of commercial travel. “It’s not even close to being feasible,” Indiana Fever general manager Kelly Krauskopf said on the prospect of chartering. What would she say about more than doubling her players’ salaries? Listen, I like the WNBA. It’s quality basketball that, in Seattle at least, is played in front of 8,000-fan crowds that will bruise your eardrums. I also like employees asking for transparency. If she thinks WNBA owners are hiding something, good for Plum for calling them out. You won’t get progress any other way. I especially like seeing female athletes cash fat checks. During her UFC heyday, Ronda Rousey would earn more than anybody on the card, and for good reason – she was the biggest draw. But when it comes to compensation, we can’t compare males to females for its own sake. We can compare only business to business, revenue to revenue, profit to profit. There’s a word for that: fair. I’d love to see a day when WNBA games are selling out major arenas and drawing double-digit TV ratings. But we’re not close to there yet. I’d also roast the WNBA if it were true that owners were taking advantage of their players, whose median salary is estimated to be just more than $70,000 for the five-month season. But I’m not sure they are. Dissenting voices are necessary for change, and players such as Plum and Wilson are providing them. The league’s all-time leading scorer, Diana Taurasi, even chimed in earlier in the week, saying a strike is the only way for players to get their desired wages. It’s true that you get only what you negotiate. And to increase their pay, players will have to fight. But on behalf of WNBA fans everywhere, I just ask that you make sure the fight is warranted. Published: July 19, 2018, 3:39 p.m. Updated: July 19, 2018, 5:53 p.m.